Sika guarantee their products for 20 years. 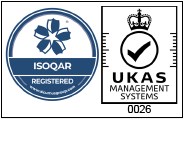 In order for the guarantee can be applied, their inspectors go out to assess the completed job on site. There’s quite a lot of information to collect, including photographs, which then gets compiled into a report. 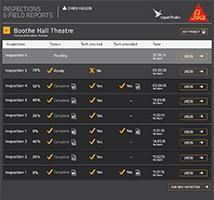 Sika asked for our help to produce an efficient and robust system which could capture the entire inspection process. Inspections being an on site task, it didn’t take much thought for us to realise the solution needed to include mobile devices. All the inspectors had iPads so we developed an app which ran on the tablet. This, however, brought its own set of problems. Mobile apps have a limited storage space for photos and are often used in areas with no internet connectivity. We designed the app to access the on-device camera but then synchronise with Sika’s main system as soon as a signal became available. All the questions for the inspection are managed by Sika using Meantime’s code which sits on their main system. The questions are dynamically loaded into the app each day (which also pulls down data about from 10,000 projects) to populate the application and make it ready for use. At the start of the day, an inspector indicates which projects they intend to inspect that day and the app immediately looks at the locations to create a smart schedule, giving the inspector the most effective order in which to tackle the jobs. Once on site, the inspector can divide the roof into logical sections, if required, and answer the questions and take photos of each area to be inspected. Where the roof has been inspected previously, the data and photos from previous inspections is available. Once the inspection is complete, a report is generated in the app, which can then be approved back in the office once everything is synchronised with the main systems.